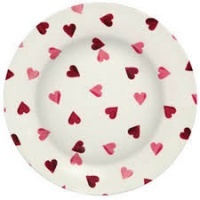 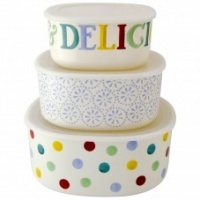 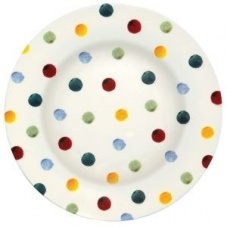 Fun polka dot two tone melamine dinner plate from the Emma Bridgewater collection. 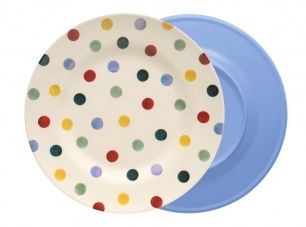 This fun dotty plate has a light blue reverse side. 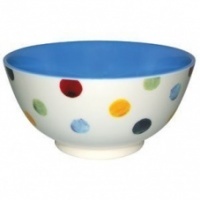 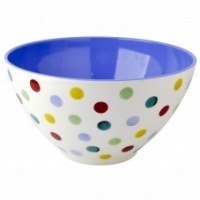 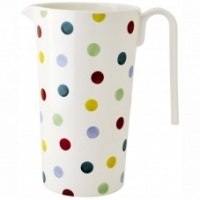 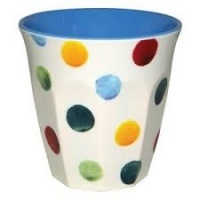 Match with the melamine polka dot bowl and cup.